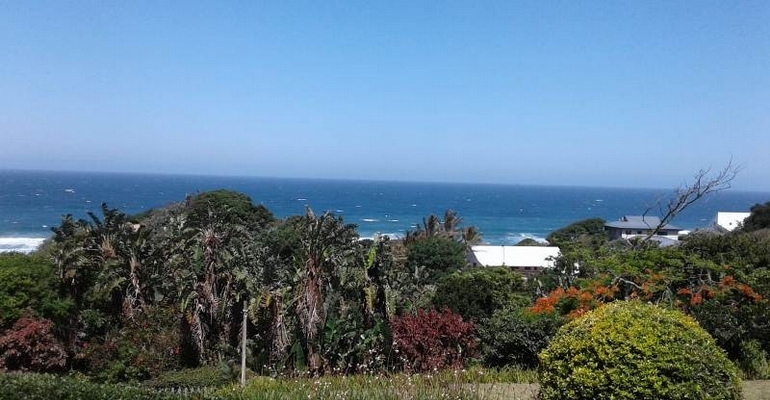 This Beautiful Holiday Home has stunning views and is situated in Umzumbe on the South Coast of Kwa-Zulu Natal. This holiday house has 4 bedrooms, 3 bathrooms and can accommodate up to 8 guests. The property is kept safe with an electric fence, alarm system and automated sliding gate and has a double lock up garage. There is a lovely large garden with braai facilities, a swimming pool, children’s play area, entertainment area and the property is pet friendly. The kitchen is fully equipped with all your holiday essentials and a washing machine and tumble dryer is also available. DSTV is available at an additional charge. The house is walking distance to the main beach and shops.